Home Marketing Are You Taking Advantage of Your Product’s Funnel Path? Are You Taking Advantage of Your Product’s Funnel Path? Are you are looking at your data properly? The other day I talked about how I found a niche in my traffic to start making continuous money after a 2 week loss. Data is everything but now your funnel is also as important, especially if you have your own product. There are several ways to optimize and monetize your funnels. I remember in the Clickbank days you should have X number of downsells for every X amount of upsells. That doesn’t work for every market, but you definitely want to take advantage of every click from your traffic source. You want to be able to create a sale or atleast retrieve the lead. Each click needs to have a value because you are spending money on that traffic, if you buy traffic that is. Ryan from IMGrind has a nice funnel he showed for one of his arbitrage campaign they have created. It shows their funnel for an offer they have created. Now, I have my own product and have a very heavy sales funnel, but it works. You want to try to take advantage of every click or every consumer that visits your page, especially if it is a direct response page. You either want to create a sale or capture some sort of information from the end user, specifically their information. Usually a funnel starts by a user coming to your website, then base on their next step; exiting or buying – you start a new path for that user. Most of the time an exit pop up or exit JS script are used to save the consumer by providing a value to the end user, most of the time it is a discount of the product. The exit has to be very powerful to the end user because it is important to try and capture that user one last time. With a direct response page, a discount, free shipping, or a Buy One Get One Free offer will work. It will vary base on the niche you are pushing. 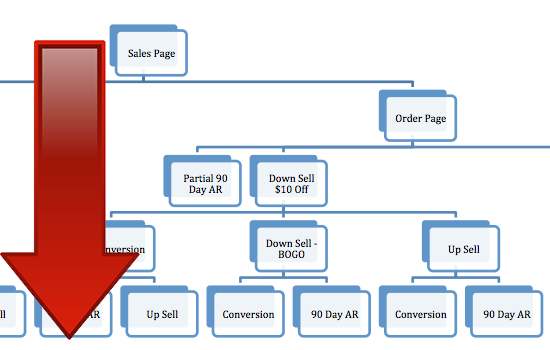 I have a funnel map as well with Clicktale to show me the percentages of users from one page to the other, this will help me with impressions per page and then I can convert it by conversions which Clicktale will also show me. This is critical because you want to see where the drop off is, where are your users leaving? Knowing this information can help you increase down sells or remove it. Base on the reaction of the user you can make a decision on how your funnel will work. … checkout page, users who almost want to buy. Now your end user is on the checkout page, this proves to you that the consumer is dedicated enough to atleast see the process of your checkout. But what if they leave, then you pose another downsell on that exit but it maybe something different. They are dedicated enough to see the checkout so maybe not a huge discount should be applied. You want to make as much money off the end user base on their needs. They want your product already, you just have to tease them a bit. They have purchased your product – they are now a buyer. You can now upsell them to a new product which will compliment the first product they bought and now the end user is a buyer and has been shifted from a partial list to a buyer list. 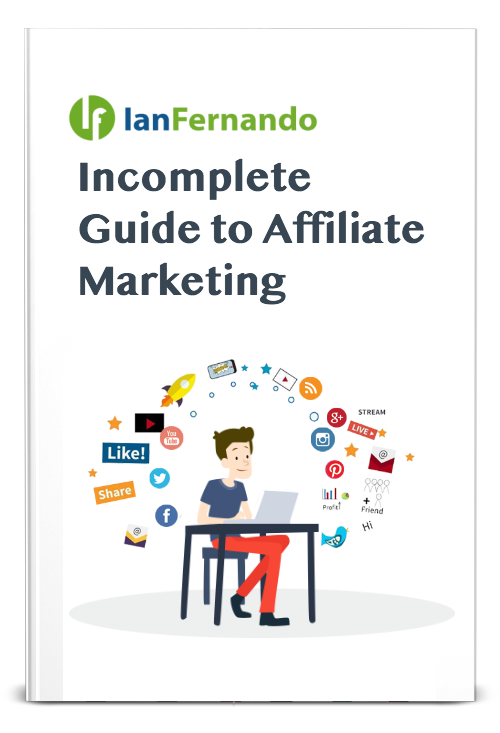 This allows you to start remarketing to this user over and over until they purchase an upgrade to another product or even an affiliate offer. But usually after the purchase, you want to try to see if you can get the end user to enter their credit card once more. You can do it with an upsell and if not a down sell right after the upsell if they exit. I know this sounds like a lot and it is confusing… I think I type it all weird too while I was trying to visualize it. No problem I have created a flow chart of how a funnel should work below. There are 2 funnels that I utilize, because there are 2 types of traffic – one from your actual bought traffic (adwords, buys, etc) and once you have them on your list that is essentially becomes a new traffic source. So there are 2 parts to the PDF you can download. The first pdf is basically a funnel, I made base on the direct response product we have. This is also base on what we have tested after one month as well and found this sequence to work very well. You want to have a strong funnel for sure but you also want to test it out and make sure it doesn’t bother your consumers. A funnel is meant to help with the buying process for the consumer and it also plays a lot of psychological aspects to the end user. These funnels help the path for the user to make a purchase, making it easier for them to make a choice. If you have a product are you taking advantage of every visitor that is arriving to your site?